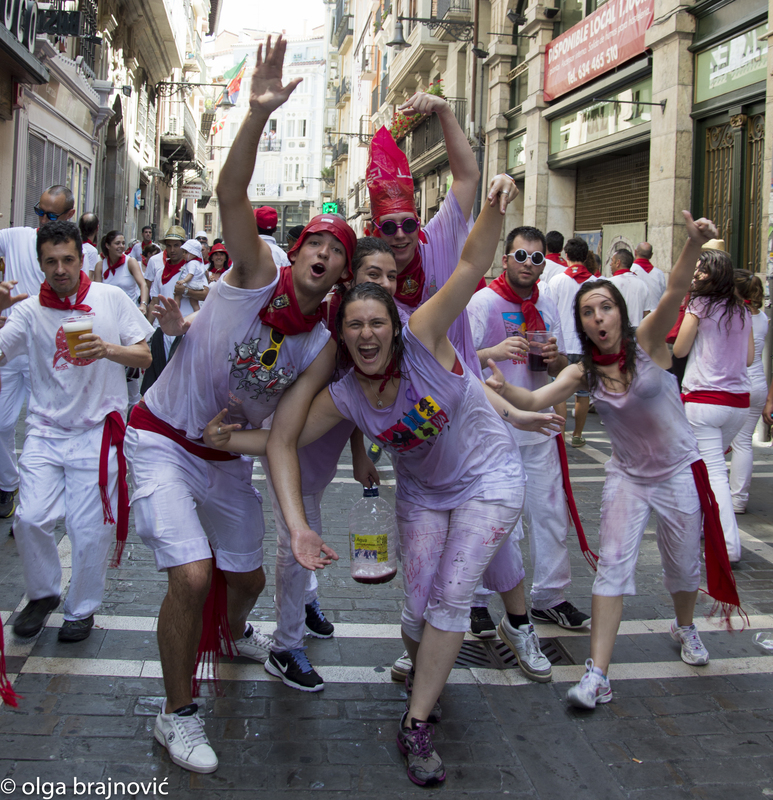 My city has burst today in its Fiesta of San Fermín. Exactly at noon, a fireworks rocket launched from the balcony of the City Hall in front of a square packed with people literally bathed in wine, marked the beginning of eight days and nights of festivities, street music and many more amusements. During this week everybody will be dressed in white with red bandanas. The first Run of the Bulls will happen tomorrow 8:00 AM. It seems that the population (usually of 250,000 people) will reach more than a million these days with all the tourists. 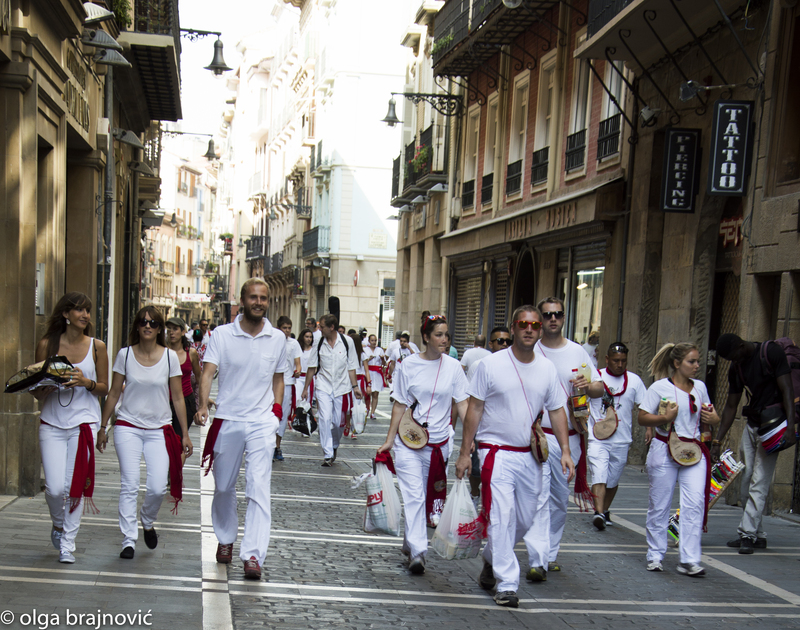 …And this is a group in the same street coming back from the city hall square after the fiesta has begun. An interesting time in your town, although perhaps not so much for the bulls. The dress is similar to the start to our carnival where everyone dresses in a long white shirt (at 5.00 am) with a red scarf around the neck. And they get bathed in red wine like our young people? No, the Swiss prefer to drink it. The usual food is flour soup and cheese cakes. I think the beer flows freely, but not for a bath.